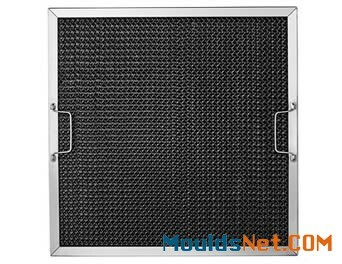 Honeycomb range hood filter, or honeycomb grease filter, is commonly used in kitchen range hood ventilation system for catching oil smoke. Meanwhile, the air purification gets improved. Honeycomb range hood consists of honeycomb-design curved channel, inner aluminum foil strips and outer sturdy frame. 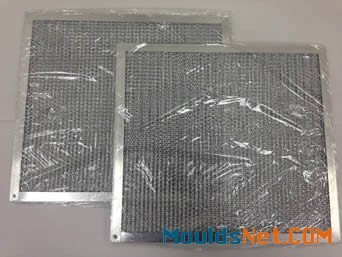 In general, honeycomb range hood filter is mainly classified into stainless steel honeycomb filter and aluminum honeycomb filter. Stainless steel honeycomb grease filter has sturdy structure and can endures high temperature, which is suitable for heavy cooking. While, aluminum honeycomb grease filter is much lighter for easy assembly and removal. It is widely used in cooking exhaust system such as kitchen in home, restaurant, school dining hall, etc. 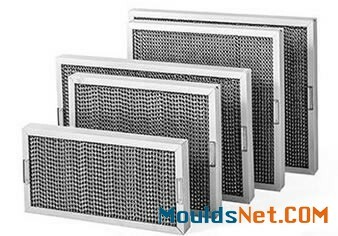 Honeycomb range hood filters are available in stainless steel, aluminum materials. 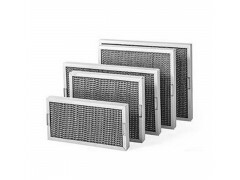 Stainless steel honeycomb grease filter has sturdy structure and endures high temperature. Aluminum honeycomb grease filter is lighter and easier to be assembled and removed. Resistant to corrosion, rust, alkaline, acid or other poisonous chemicals. It has large oil holding capacity and prevents damage in case of fire. Honeycomb design makes the appearance attractive. Easy to install and remove with double handles on the frame. Available in many sizes according to the size of the range hood. Easy to clean with hot water and detergent. Size (W × H × D) (mm) 254 × 495 × 50, 289 × 356 × 25, 174 × 395 × 25, 295 × 495 × 50, 455 × 380 × 50, 457 × 381 × 50, 495 × 394 × 50, 495 × 495 × 50, 495 × 750 × 50, 395 × 495 × 50, 622 × 395 × 50, 595 × 595 × 50, 495 × 394 × 50, 622 × 394 × 50, 622 × 495 × 50, 694 × 595 × 50, etc. 225, 350, 440, 555, 640. 315, 490, 610, 770, 890. Packing Each filter is wrapped with waterproof plastic films and packed with protection cardboard. 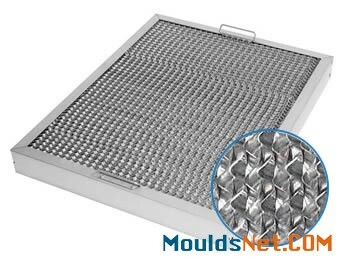 As for the outer structure, honeycomb range hood filter has stainless steel or aluminum honeycomb design curved channels with aluminum frame firmly fixed by rivets. If required, there can be handles on both vertical sides of the filter. The filters are also designed with drainage holes on each corner as to excess grease oil and the oil can drain to the collecting channels into the exhaust ducts. As for inside structure, there are aluminum foil strips, which are used to catch maximum oil with minimum resistance. 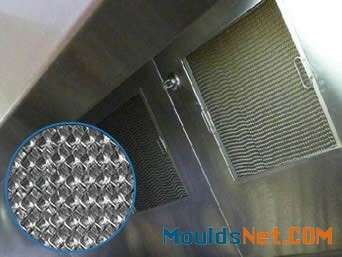 When you install honeycomb range hood filter, the filters can not be at an angle greater than 30 degrees from the vertical so that the grease oil can easily drain from the filter. Honeycomb grease filters need cleaning regularly to reduce the risk of collected grease oil dripping into the food. Besides, regular maintenance prevents combustible material causing fire. The honeycomb grease filter is mostly used in domestic kitchen, restaurant kitchen, kitchen in dining hall, hotel and commercial range hood ventilation system.